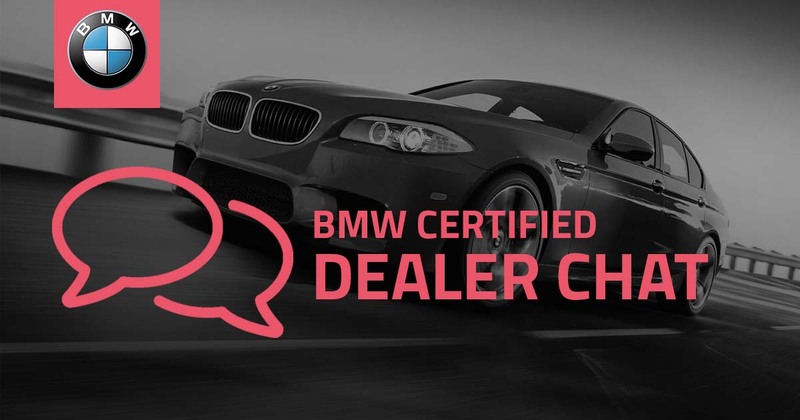 As a BMW Certified Website Provider, Dealer eProcess is excited to offer Certified Dealer Chat! BMW dealers have the option to maximize their customer communication and track leads with several different OEM-compliant chat options. Keep reading to learn more and then schedule a demo! Website chat plays an integral role in nearly every dealership’s website, which is why we at DEP are proud to be an approved chat provider by BMW. The main advantage for dealerships is the 50% co-op eligibility. This provides significant savings for the dealer, allowing them to enjoy all the benefits that our advanced chat tools have to offer and maximize their budget. BMW chooses only the most progressive chat tools in the industry to partner with, so you can be confident in the chat products we have to offer as a certified provider! Another benefit includes the ease of our chat dashboard. Dealers can quickly see how many chats are being handled at any given time, jump in the chat depending on which they have, and much more. Plus, the ability to see exactly when a previous chat occurred, a transcript of the conversation, customer information, and more. The best part? Our BMW chat packages cover a wide variety of options! Choose the one that works best for your market, your dealership personnel, and your budget. Hybrid Chat allows the dealership to respond to incoming chats or take over chats that have been answered by our DEP chat team when the dealership representatives are not available. Chatbot is similar but uses cutting-edge artificial intelligence to handle many of the most common chat conversations, with the dealer still having the option to jump in and handle complex conversations if needed. Since many customers choose to interact with a dealership on social media, Facebook Connect is a highly valuable option. It seamlessly integrates all our chat functionality within Facebook’s widely-used messaging platform. Last, but certainly not least, Texting gives the customer the opportunity to talk with your dealership from their smartphone via SMS text messages. 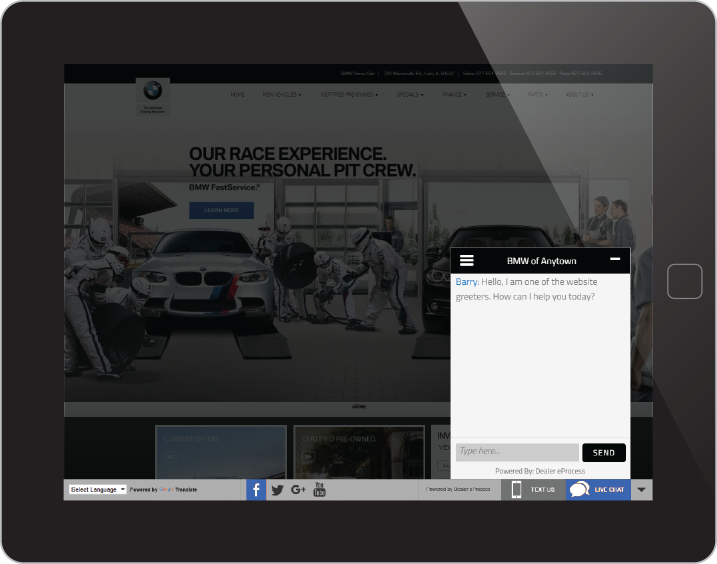 Dealer eProcess is able to offer these BMW chat tools to dealers with any website. Complement your website and see increased leads with Dealer eProcess’ BMW Certified Dealer Integrated Chat! Our team would be happy to answer any questions you have and help you enroll today!